Days are now shorter, and temperatures are slowly dropping in most parts of the country. It is the time of year when individuals look to spend a little more time indoors and a little less time outdoors. However, did you know we aren’t the only ones looking for relief from the cold? Similarly to us, this is the time of year when certain pests look for a nice, warm home to spend the winter months. The downside for food facilities is that they offer everything pests need for survival—food, water and harborage. In fact, food facilities can face numerous pest challenges during the colder months, including ants, cockroaches, stored product pests and flies. Additionally, the most common and challenging winter pests are rodents. Due to their ability to squeeze through small spaces and adapt to many different environments, they can be a facility’s worst nightmare. The presence of rats and mice can lead to food contamination and can threaten your food safety audit scores, reputation and bottom line. Rodents are known carriers of deadly neurological and respiratory diseases like lymphocytic choriomeningitis virus (LCMV) and Hantavirus Pulmonary Syndrome. Ticks, mites and fleas can feed on infected rodents and transmit diseases like pox, plague and typhus indirectly to humans—putting not only employees in your facility at risk, but also customers. Rodents can be tough to control and are very adaptable at living indoors. 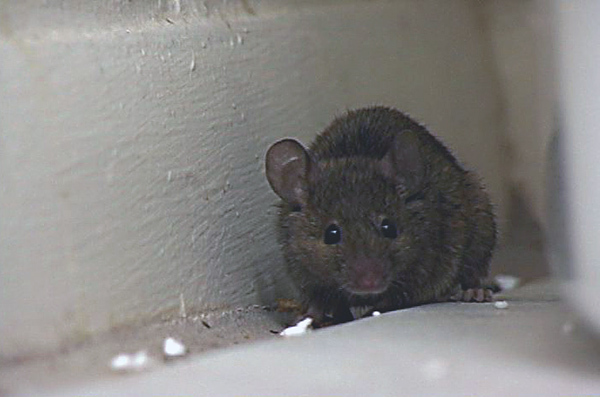 Some mice that take shelter inside due to weather can survive indefinitely as indoor mice. In fact, there is a possibility rodents may have already taken shelter by now, so it’s important to talk with your pest management professional about common areas where rodents may be hiding. As you winterize your facility, it’s important to keep rodents and other pests in mind. A proactive approach to facility maintenance, as well as an effective Integrated Pest Management (IPM) program, can help keep pests out and your food product and business secure. The following tips will help keep your facility off pests’ radars this winter. Vigilant, ongoing monitoring is a cornerstone of an effective IPM program. With this strategy in place, there are many tactics you and your staff can use. Identify “hot spots”. Work closely with your pest management professional to identify the most common places pests reside in around your property. These can include loading docks, utility rooms, employee break rooms, dumpsters and trash cans, storage rooms and behind any heavy, immobile pieces of equipment. By identifying these hot spots, you’ll be able to prevent pests from entering your facility. Involve your employees. Educate your staff on the pests themselves, as well as the conditions that attract them, and encourage your employees to report any signs of problems. Utilize a reputable pest management company to provide your employees with this training—many providers offer training at no extra cost. Look for gaps and fill them to keep those pesky critters out! While certain pests can hitch a ride into your facility via shipments and even on people, the biggest pest threats start on the outside. With this in mind, you can take fight pests outside by strengthening your perimeter. Look for and fill cracks and crevices. Crawling pests like to creep inside through small openings. Additionally, rodents can squeeze through holes the size of a quarter, mice through dime-sized openings that create gaps barely noticeable to the human eye. 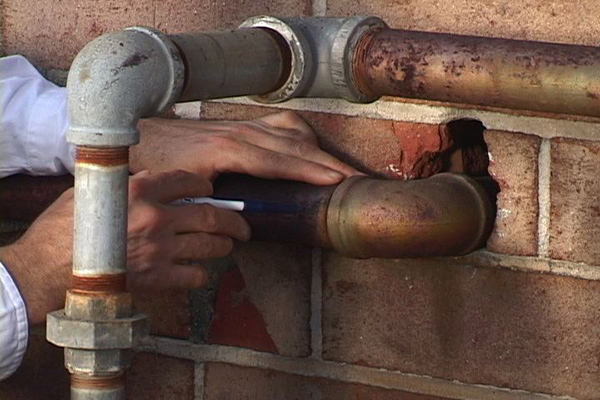 Regularly inspect the exterior of your facility for any cracks that may develop and pay close attention to openings that can form around pipes and utility penetrations. Don’t forget to seal any holes in exterior walls with water-resistant sealant and steel or metal mesh. Eliminate clutter and attractants. Rodents may burrow or live up to 100 yards away from your structure, and flies, ants and cockroaches are also on the hunt for easy meals that can often be found on the property. Keep trash handling areas free of clutter, and clean up any uncovered garbage or standing water outside. Also, work with your waste management company to ensure they clean and switch out dumpsters regularly. Keep landscaping off your building. Pests will often use vegetation as staging and feeding sites. Keep trees trimmed and plants at least 12 inches from your building, and remove leaves quickly so pests cannot use them for cover. As an extra step, consider installing a two-foot wide gravel strip around the perimeter of the building. Think of these exclusion techniques as digging a moat around your castle. For rodents, bait stations can be set outside. Work with your pest management provider to place tamper-resistant bait stations around the exterior of the facility. However, do not place the stations near doors or entryways, as they can attract pests into the facility. Be sure to maintain an up-to-date map of bait stations and record activity at each station to determine the source of rodent pressure and target future treatments accordingly. Prevent fruit flies by keeping employee break rooms clear of food remnants and tightly sealing garbage cans. Once you set up an outside defense against pests, you can double down on your pest management efforts by taking a few proactive measures inside as well. The key to keeping pests from infesting your facility is removing incentives for them to go inside in the first place. Inspect incoming shipments. When you are not receiving materials, keep loading bay doors closed—make sure the doors close securely so that pests cannot sneak under them. Inspect incoming raw materials, packaging and truck trailers for signs of infestation. Reduce potential food sources inside your facility. Employee break rooms should be clear of any food remnants, and garbage cans with food and other waste need to be kept tightly sealed. Monitor the plant floor. Sanitize drains and equipment with an organic cleaner to eliminate the residue that pests can feed on. With colder temperatures, pipes can break or crack, so ensure plumbing is also maintained properly to prevent leakage and property damage. Monitor for spills and clean them immediately, as pests only need a small amount of moisture to survive. By putting proactive defenses into place, your facility can enjoy the winter seasons with a decreased likelihood of the appearance of unwanted visitors like rodents, ants, cockroaches, stored product pests and flies. Talk with your pest management professional about these steps and other tactics you can put in place to keep your facility safe against overwintering pests and relegate them to the cold.